n August 2018 I joined Footprints for Peace and the WA nuclear free Alliance on the Walkajurra Walkabout, walking 250kms from Wiluna to Leonora on Wangikatja Country. Here’s what I learned. 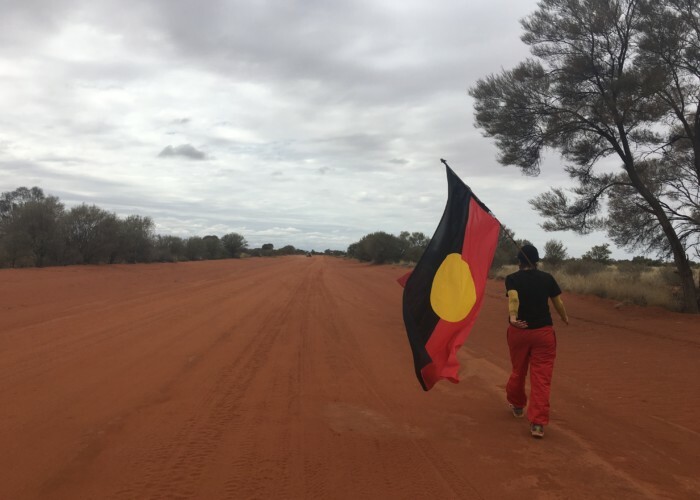 This year we spent a month walking in solidarity with traditional owners on Wangkatja country on the Walkatjurra Walkabout – Walking for Country. The Walkabout is a one month walk from Wiluna to Leonora, roughly 1000km north east of Fremantle/Walyalup. The walk is in partnership with the Local Community, FootPrints for Peace Western Australian Nuclear Free Alliance (WANFA), the Anti Nuclear Alliance of Western Australia (ANAWA) and the Conservation Council of Western Australia. It is part of a 40 year campaign, led by staunch Aboriginal leaders, and supported by allies, that has kept WA uranium free for decades and safeguarded many sacred sites.